Have you ever wondered how hard is it to find offline fashion and apparels stores even with the biggest search engine Google. Customers usually resort to horizontal search engines and listing platforms to search out for local offline shopping stores that are available nearby. With the Internet at its peak and youth being the most sought after audience, startups are finding innovative ways to bolt them up. Working on similar platform as Zomato, Zakoopi is an online aggregator of offline stores that plugs the market gap for users by transforming the traditional ‘word of mouth’ way of offline fashion shopping. This startup recently garnered $350 K from Harminder Sahni, a veteran of India’s retail industry, and Uniqorn Ventures, for its ability to connect shoppers with local apparel stores which are less known due to limited online activity. With over 7,000 fashion retail stores mapped on its platform, Zakoopi is present in more than 100 markets of Delhi NCR and Mumbai. It further plans to establish its footprint across key metro cities of India in the coming months. Started in 2014 by Shashank Agnihotri and Samik Sarkar, the Delhi-based startup brings a list of offline fashion and apparel stores, under one roof. Shashank and Samik, who have been together since their IIFT days, have brought their expertise to establish Zakoopi as a thriving and growing online community of shoppers and fashionistas. Zakoopi is developing as a platform that enables people to discover offline shopping places on the basis of store reviews, ratings, photographs, product catalogue, pricing details and more. 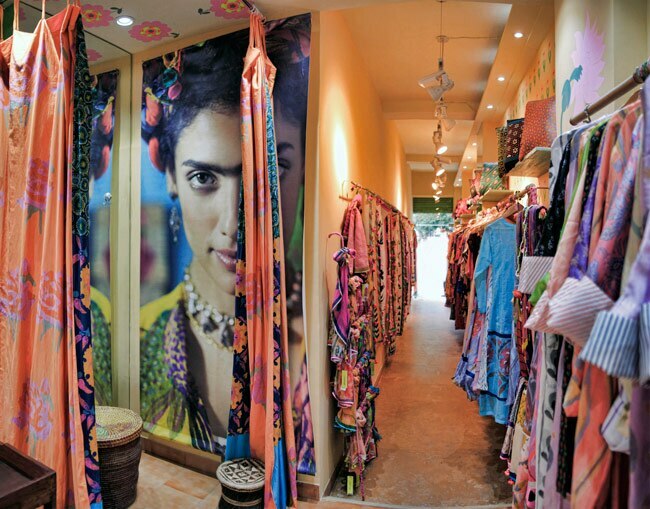 Shashank perceived that the potential of the unorganized fashion market in India works predominantly on ‘word of mouth’ recommendations.The size of this Indian unorganized fashion space at present is close to $60-70 Bn. Understanding this market, Shashank worked towards building an online apparel store discovery platform which today has over 1 lakh visitors per month, witnessing 10% increase in the user base on a weekly basis. The existing fashion startups who compete with Zakoopi are Wooplr, Roposo & Limeroad. However, they are focused on product discovery and enable users to shop for popular website listed brands. Out of these available platforms, Zakoopi enables shoppers to discover local apparel stores and is blurring the lines between the organized and unorganized fashion space in India. In a span of 10 months, Zakoopi has integrated more than 7,000 stores across Delhi NCR & Mumbai. Along with an unprecedented online presence, Zakoopi also provides solutions to retailers that enable them to promote enhanced customer loyalty & engagement, as well as reach out to a larger and more targeted customer base. With Uniqorn Ventures, a seed & early stage venture fund based out of Mumbai, investing in Zakoopi, the startup looks up to disrupt its technology and business model and expand to more cities.